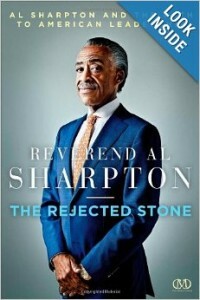 : Al Sharpton, CEO of the Civil Rights Industrial Complex, new book The Rejected Stone: Al Sharpton and the Path to American Leadership, is being rejected by the American public. : Even though he hawks his book every night on his show on MSNBC, it doesn’t appear in the TOP 100 Best Sellers. I think due to the base of his support doesn’t read books have a lot to do with it. : As for the rest of the public, they realize he’s another puffed up media creation. : Or more specifically a fraud!